If you're looking for a delicious dip that can be produced easily and inexpensively, consider making your own avocado dip. 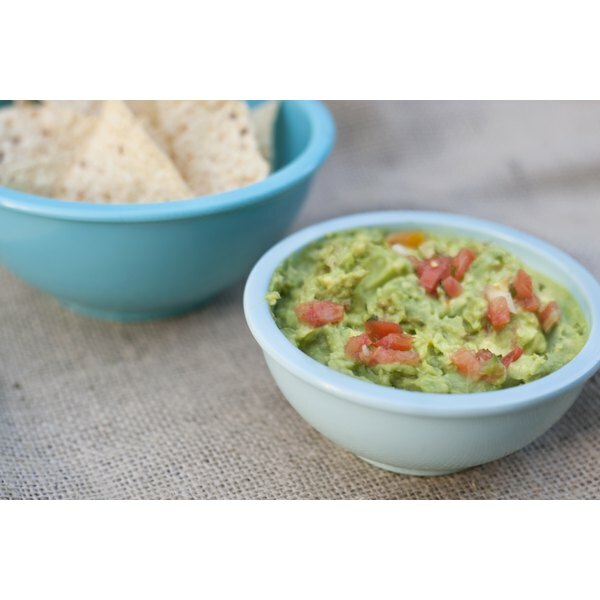 Avocado dip is versatile and can be used as a dip for chips and vegetables or as a topping for an appetizer or main dish. With just a few simple ingredients you can make your own homemade avocado dip in a matter of minutes. Choose the best avocados to make avocado dip. When purchasing avocados, pick those that have darker skin. The avocado should be firm but soft enough to give a little when you gently squeeze it. Avocados that are hard are not ripe enough and will result in a dip that is too chunky and does not have a good flavor. Cut the avocado in half, lengthwise. Avocados have large pits in the middle, so it is necessary to cut down into the avocado until your knife touches the pit. Once the knife meets the seed, cut all the way around the avocado in a circular motion. Separate the two halves. Spoon out the pulp of the avocado into a mixing bowl using a tablespoon. Using a spoon helps you to remove all of the meat easily. Mash the avocado using a potato masher. You can make your avocado dip as chunky or creamy as you like. For a creamy dip, work and mix the avocado around as you mash it, ensuring you have smoothed out as many chunks as possible. Add 1/2 cup of salsa to the avocados to enhance flavor and texture. There are many varieties of salsa available. You may choose the flavor and texture you prefer. Season the mixture with garlic salt. Start out with a sprinkle and mix well. Taste the avocado dip to determine if it needs more garlic. Follow this procedure until you are satisfied with the flavor of your dip. 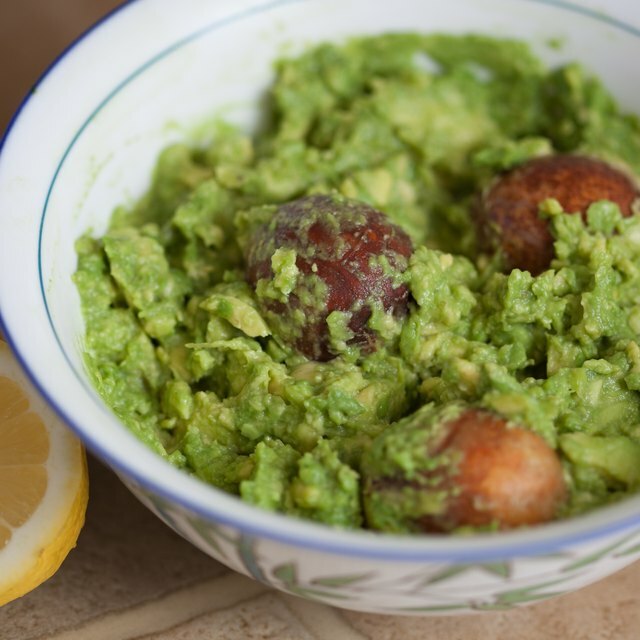 Add a squeeze of lemon juice to your avocado dip. Lemon juice helps preserve the dip and keeps it from turning a dark brown color. This recipe makes about 1 cup of avocado dip. Adding 8 oz. of sour cream adds to the flavor of this avocado dip and doubles the servings. Sour cream also helps keep the dip from turning brown. Cover the dip tightly and refrigerate for storage. Homemade avocado dip may turn a dark brown color in a very short time. Adding lemon juice will help prevent this. Terri Rawls is a freelance writer with works published for Demand Media, LIVESTRONG.com, Virtual Vocations, Associated Content and eHow. Rawls ghostwrites and has written several books for children that she hopes to see published in the very near future. Rawls holds an Associate Degree in early childhood development with extensive experience working with at-risk youth.